Original post has been updated to include the ticket link. OFFICIAL AFTER PARTY for this concert is at HARDER MONDAYS at the Saloon downtown Minneapolis. Was told the bands will make a serious attempt to show up after the concert but that all depends on how they are feeling after the show with Jet Lag and what have ya. 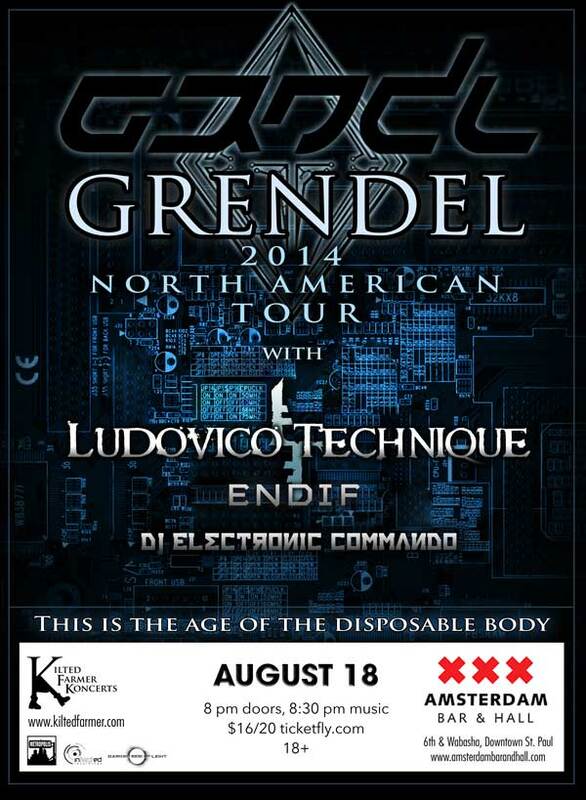 Tickets are now available for this show (and also Hocico 9/12 and The Cult 8/5) at Into the Void. Cash only, no service fees! Stop by and get your tickets and maybe even pick up a CD or record. Yes, they sell vinyl! Tickets are still available at Into the Void Records in St. Paul. Save yourself a few bucks and stop in and support great local businesses! Tonight! Go and get stompy!